Whenever I put together an "Influences" course based on a particular song, I seek out as many live recordings of that song as I can find. This used to be a lot harder, but thanks to YouTube's fairly progressive copyright stance, there's a LOT of live performances from my favorite artists to choose from. 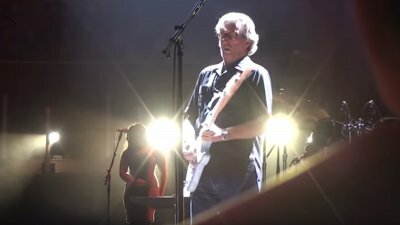 Such is the case for the song "Old Love", a track written by Eric Clapton and Robert Cray for his 1989 album "Journeyman". So when it became obvious that this track was a popular one with the TXBA crowd, I went searching for performances of this song on YouTube, and I was not disappointed. I started with 8, but as I pieced together the final solo, there were 4 performances that stood out. These are the 4 amazing performances of "Old Love" that inspired the solo in my new course "Old Flame". This performance was recorded in Stockholm on 06/08/2011. It looks like it was shot from the crowd so I have no idea how the audio came out so good. There are probably more licks from this solo in the "Old Flame" solo than any other performance. This performance was recorded right in front of the stage at Royal Albert Hall on 05/17/2011. Again, surprisingly great audio given it was a crowd recording. This performance was recorded in 1996, but released in 1997 as an album and video/DVD. This is classic mid-90's cranked-tweed-tone Clapton. This performance was recorded at Royal Albert Hall on 05/20/2009. There's no video for this, just audio, and it sounds like a crowd recording. His tone in this performance is just massive. 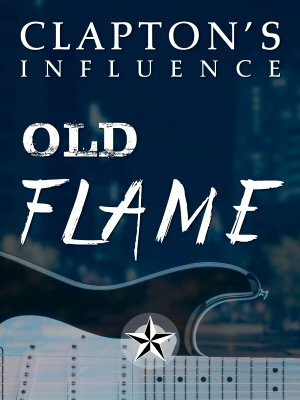 Now, having watched those performances, see if you can hear their influence on the solo taught in my new course called "Old Flame". I've tried to capture the best parts of each, from the subtle gentle intro solos to the fiery ending solos. If you'd like to learn that solo, you can learn it note-for-note in this course. The difficulty is intermediate to advanced, and the advanced sections are not easy. But I break everything down into little pieces and teach it to you note for note.